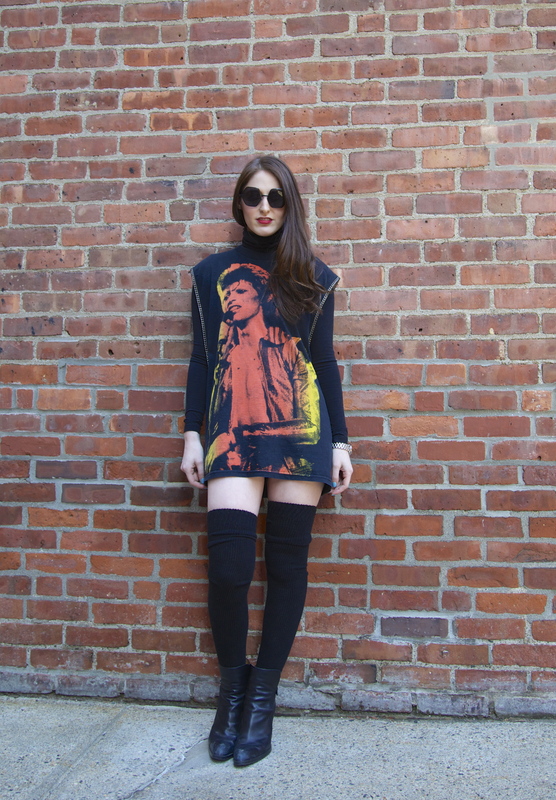 Vintage tunic from LF, spandex turtleneck and thigh high socks from American Apparel, Tod’s boots, Le Specs sunglasses. 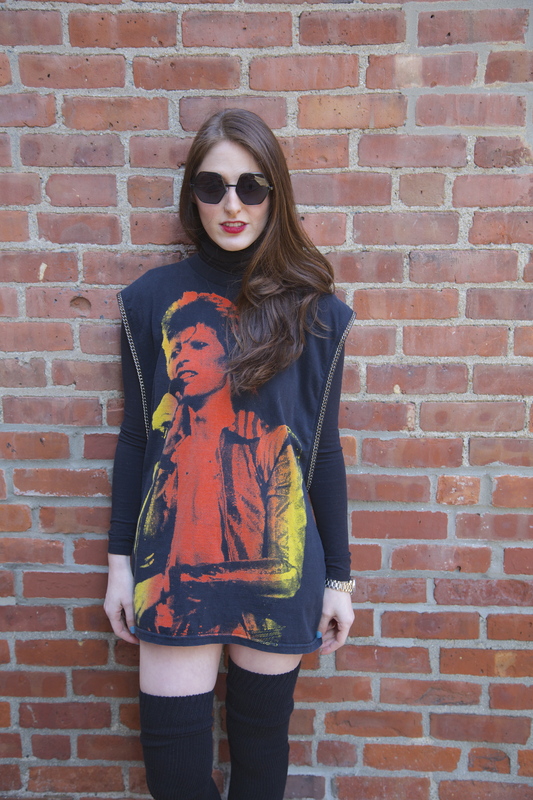 Reworked, one-of-a-kind vintage pieces can be so exciting, like this amazing tunic with chain detail and a picture of the iconic David Bowie. I love the feeling of wearing something that’s truly only mine.